Let’s face it: sifting through data doesn’t typically excite the senses. But for those in the rapidly changing electricity business, understanding the meaning behind industry data is often essential to our jobs. Here at Enerdynamics we make it our mission to help interpret energy industry data for those who really just need the “big picture” of what it means and why it matters. 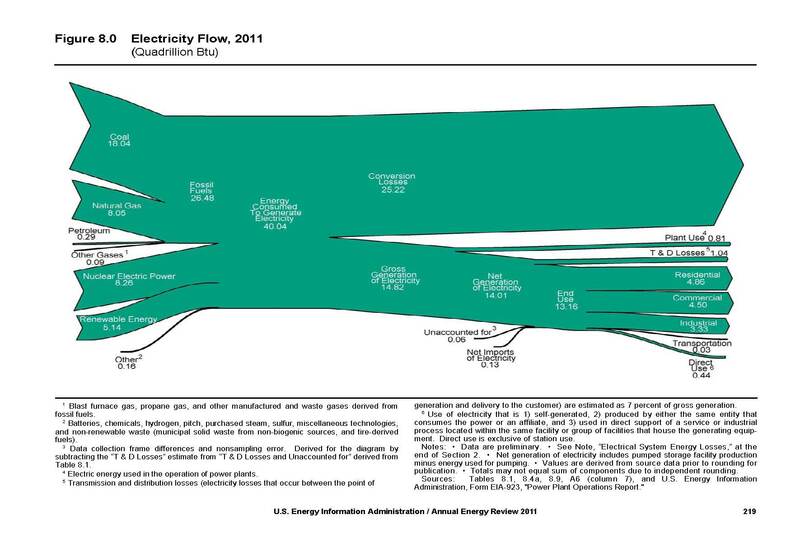 For example, in many of our instructor-led courses we use a chart from the Energy Information Administration (EIA) that shows how electricity flows from fuel input to consumption by various customer classes and categories. I’ve always found this chart fascinating yet extremely difficult to understand without translation. So with the help our graphics team, we decided to translate this chart into something understandable, useful, and graphically appealing. The before and after are included below (and we are including a link where you can download the infographic for your own use). This is just one example of how Enerdynamics is able to take what appears to be complicated data and graphically show it in a way that any of us can understand. This is our goal with all Enerdynamics training products. The energy industry can be a complex and confusing world, even for those who’ve spent decades in it. Our job is to make understanding this world a little bit easier for all. Hope you enjoy the graphic! For more information on any of our training products, please contact me directly at jferrare@enerdynamics.com or 866-765-5432 ext. 700. This entry was posted in Electricity, Energy Training and tagged EIA, Electricity Training, Enerdynamics, Energy, Energy industry, Energy Information Administration. Bookmark the permalink.